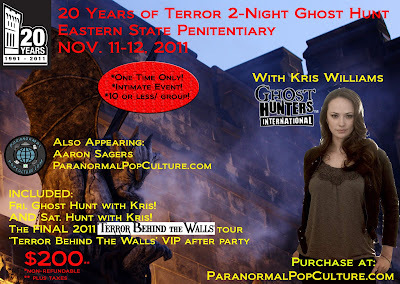 While you're at home enjoying Ghost Hunters and their return to Waverly Hills, answers these questions correctly for half off the ticket price of the Eastern State Penitentiary Event with Kris Williams on Nov. 11-12, 2011 (yup, only two days away!). 1) How many times has TAPS investigated Waverly Hills? 2) Which Ghost Hunter has appeared on Destination Truth the most? 3) Before she became a paranormal investigator, Kris Williams tried her hand at acting and worked with what famous director? 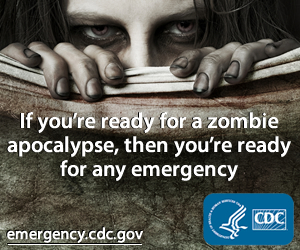 To submit your answers, email your first/last name and contact info to info@paranormalpopculture.com. We have limited number of discounts, so the be among the first to submit!